Heroes and villains from World of Warcraft, Overwatch, Diablo and more flood the halls at BlizzCon! The Escapist's own intrepid Ross Lincoln is marching through the halls (and agonizing through the lines) of BlizzCon, but he's sent back a plethora of incredible cosplay for those of us at home. Check out the painstakingly detailed World of Warcraft Tier sets, ethereal Archangels, wily Treasure Goblins and even some Hearthstone cosplay! Let's dive into the Day 1 highlights, and stay up to date with all the announcements and previews with our BlizzCon 2014 coverage! 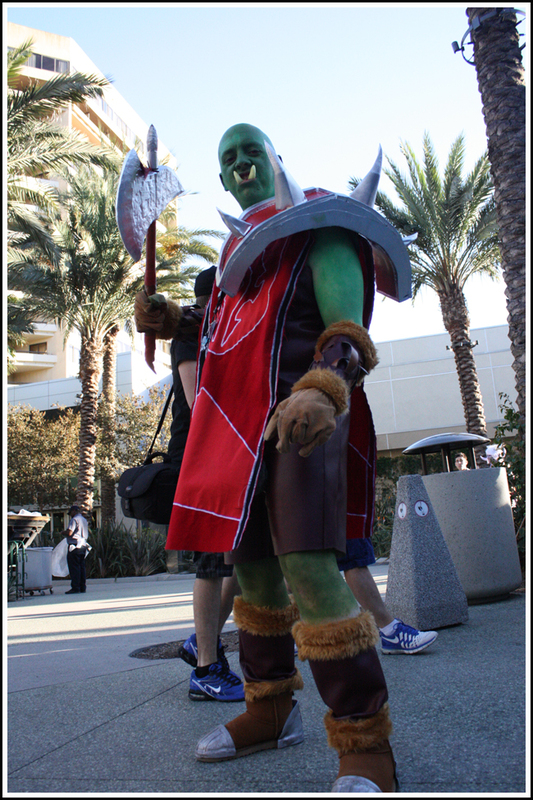 Let's start with a classic Orc! I hope the Horde has dental coverage! Check out those tusks.